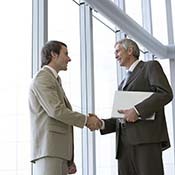 Here at North Bay Property Advisors, we don’t only help you buy and sell commercial buildings. 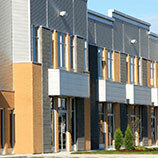 We also help you buy and sell apartment buildings. Although this may not be a huge portion of what we do, we enjoy it just the same. But as an investor, you may be thinking to yourself “why would I want to go through the hassle of owning an apartment complex?” There are many benefits to owning an apartment complex. Even small, low-yielding apartment complexes offer healthy returns on your investment. When you have a fully rented building, you are earning money on every single apartment. The loan that you take out to purchase the building will be paid back after a few years and then you will start to see a tremendous increase in the monthly income. With an apartment complex, you know your roll and your responsibilities. You hold the tenants responsible for the rent and maintenance of the apartment. And you are responsible for resolving issues that have to do with the building so that you are providing a safe living area. You also don’t have to worry about finding tenants because they will find you unlike when you have a commercial property. One of the great things about investing in commercial real estate like apartment buildings is that you have the ability to write off all of your expenses so that you can reduce your taxable income. Apartments can also be depreciated over 27.5 years instead of 39 years so you can write off a bigger portion of the buildings value every year than you can with other commercial real estate. 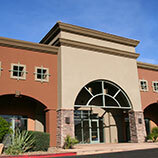 If you are interested in buying an apartment complex, start with an agent that knows what they are talking about. Call North Bay Property Advisors today.